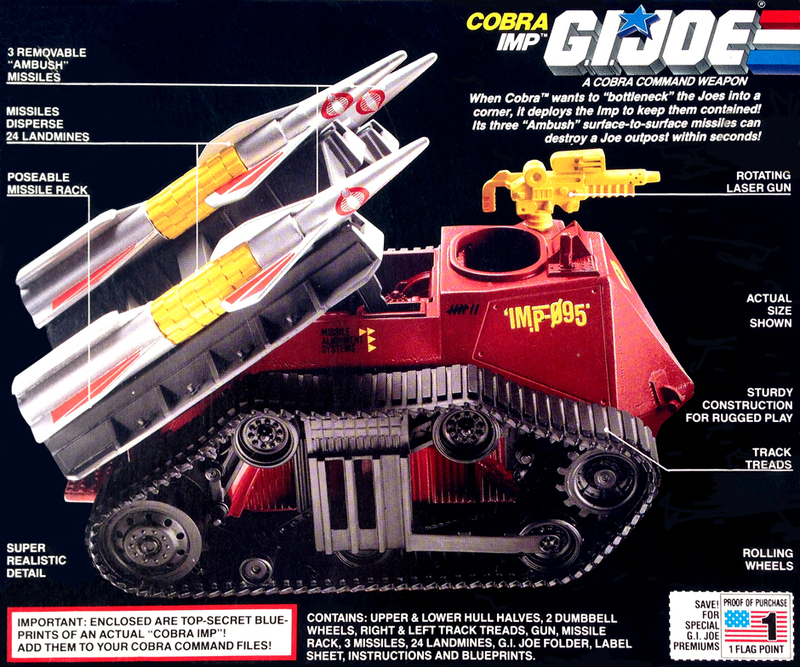 Cobra Imp courtesy of the Yo Joe Outlet. Please visit them on eBay. When not manning the .50 Cal., the driver ducks into the super-reinforced personnel protection housing. 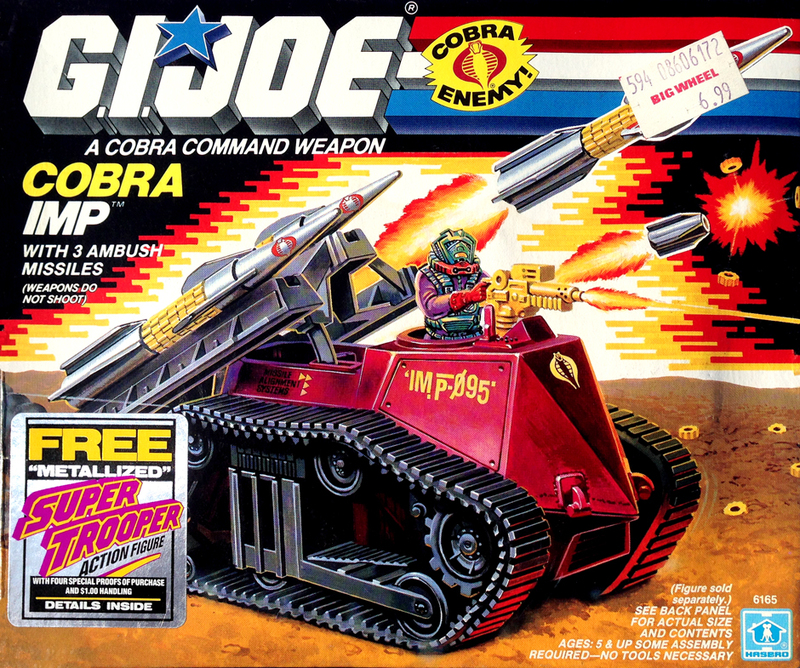 The Infrared Imaging Programmable "IMP" missiles break in half mid air to disperse eight land mines per missile, as seen on the box art. NOTE: Although the box art showed Toxo-Viper manning the Imp, and he's pictured above, Toxo-Viper did NOT come with the Imp. Cobra Imp box photos courtesy of Page and Greg Wagner. 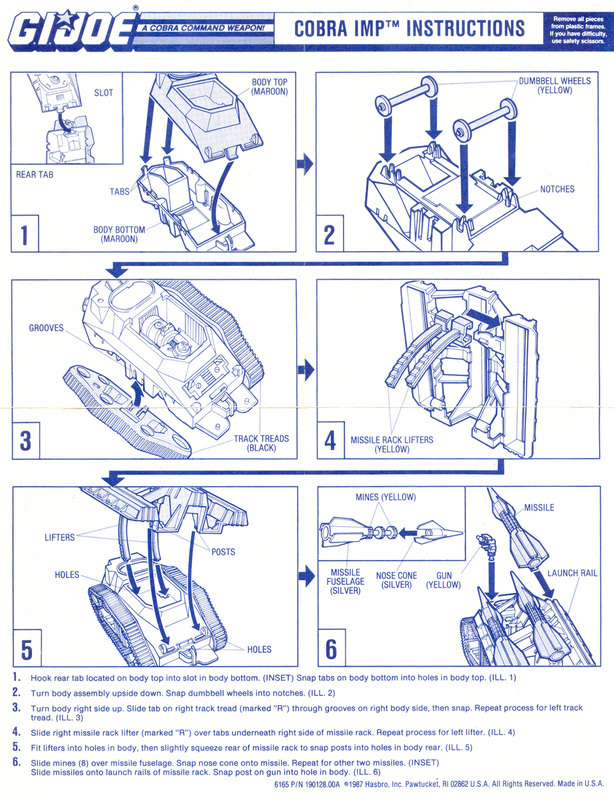 Check out their eBay store for tons of vintage Joes! 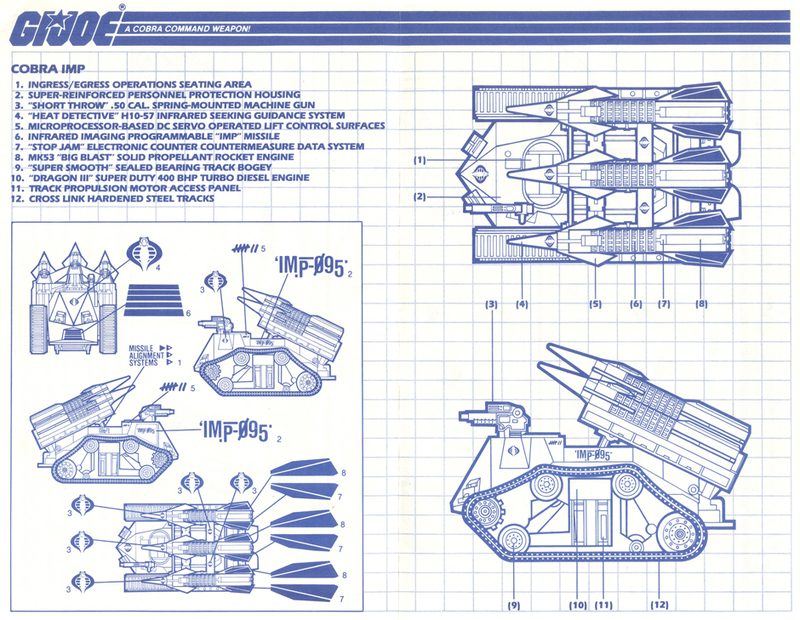 Cobra Imp blueprint/instructions courtesy of Tim Dz.